Ariadna Peretz runs Maitre D’ate, a Hong Kong-based matchmaking service that comprises a range of packages for singles seeking love, but also a matchmaking database, events, and free dating resources. Peretz also blogs about dating, hosts the podcast “Love & The Modern Man“, and has co-penned an e-book titled “Winning at the Dating Game“. Originally, Peretz worked in communications. That changed when she began hearing story after story from her very eligible friends about how difficult dating was in Hong Kong. 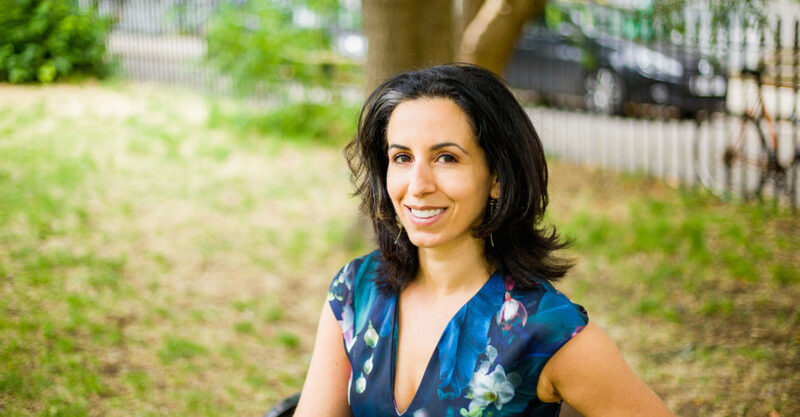 Preoccupied with having a relationship when she was younger, Peretz later dissuaded herself of this notion, finding a healthier and happier mentality, and hoping to help others do the same. What started as a casual database of eligible singles and a singles dinner event in 2015 soon grew into a comprehensive matchmaking service. The best reason clients come to me is that they love their life and they want to share it with someone else. Then there are others who think their lives will not be amazing until they’re in a relationship. This is not a great reason, because the only person who will make your life amazing is you. Sometimes people will come to me because they feel pressure to pair up and make babies, either because of society’s expectations or because of their families. I’m happy to work with these people, but it makes me sad to think they’re making so much effort to make someone else happy. My life is awesome already and I’d like to share it with someone. Like I said, no one is going to make your life amazing, so don’t lie to yourself and tell yourself you’re going to find happiness once you find Mr or Ms Right. I am willing to make space in my current awesome life for you and I’m willing to give us a chance to figure out what that space looks like and how we would fill it. This is important because our lives are so full in Hong Kong. Personally, I think coming up with the perfect date idea is silly because the point is to spend time together and get to know each other. However, I know that other people care about the effort and thought that’s put into a date. If you’re in the latter category, I would suggest thinking about what it is the other person values. For example, if they’re a foodie, go to a cool restaurant or a cooking class. If they like music, go to a concert. If they like the outdoors, go on a hike. If you’re using a dating app, turn off your notifications and only swipe and chat at a given time — for example, 30 to 60 minutes each night, so that you don’t get addicted to the excitement that comes with getting a new message. Also, don’t get overly invested in someone you’ve never met. Try to meet offline ASAP. The chemistry you may have online often doesn’t translate to offline. With Tinder, online dating and dating apps have gotten very superficial. But Hinge is trying to bring back the OKCupid and eHarmony trend of answering questions and choosing people based on the way they think instead of based on what they look like. I hope Hongkongers will approach relationships as something they do for themselves instead of something they pursue for their families or societal obligations, but I don’t know if that will happen. From our Hot Seat series.